Welcome to the SkyPrison Donation Store! 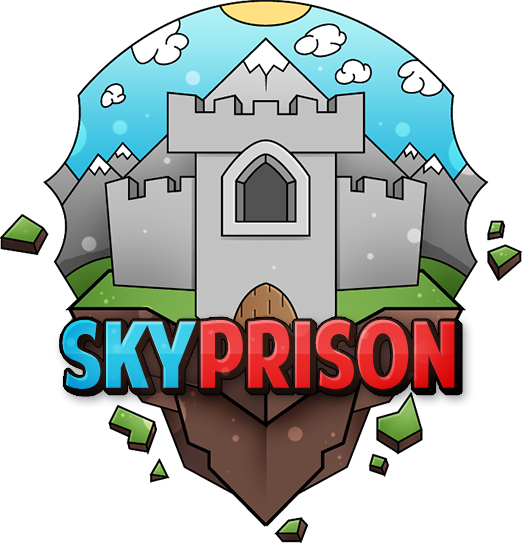 SkyPrison is a prison located on a sky island, there are no bars or bedrock walls though but a sky, What they didn't know was that you could fly off the island. But your freedom doesn't start there yet. You will have to work yourself out. You can cut tree's fish and mine, Once you have gathered enough resources you can sell them to get access to the next island. Once you get there you are 1 step closer to your freedom. There is a twist though, Not all prisoners are friendly prisoners. Some prisoners want to kill you in prison! But we have prison guards for those, once they see prisoner fighting they will kill them. Not everything is obtainable in the game, most of these are in the shop here, walk through the shop and buy whatever you like!